I am neither. I love my fellow man, whatever his colour, gender or sexual orientation, for the simple fact that I am Christian and this is Christian duty – compassion, tolerance and hospitality – responsibilities as well as rights. Christianity taught me to tell the truth, never to bear false witness, but also to expect the truth and never to let the truth be trampled on. My Christian upbringing taught me to value what I inherited, not so much the ‘prosperity’ as the safety, civility and security that my parents’ generation fought so hard and so selflessly to protect. That is why I will be in Parliament Square this afternoon – my (freedom of speech) right to assert these ‘old-fashioned’ values that have stood the test of time. They are what our three-year Brexit battle has been about, too, and why it is such a threat to Remainer Liberal Left culture. These, my basic tenets, are the ones my middle-class, educated but spoilt post-war baby boomer generation stuck two fingers up at, and with their selfish ‘sixties’ liberation causes and free love, casually squandering their parents’ wartime and post-war sacrifices. They forgot that true freedom is only ever the product of discipline and personal responsibility. They eagerly entered into the business of repudiation, making a virtue out of trashing their country’s history and institutions, its hard-earned democracy and rule of law; oblivious to the ideals, altruism and sheer persistence it’s based on – treating this legacy as morally equivalent to any and every other culture under the sun. The country that along with America has twice saved Europe from dictatorship and oppression then entrusted itself under my generation to Europe’s untested bureaucratic and technocratic new institution, without due debate and consideration, and never minding the serious breach of the country’s sovereignty this involved. This is not what Britain’s champions of freedom and justice fought for. ‘The new EU absolutism is being forged before our eyes – by the very people elected to preserve it‘. It is, as she says, ‘almost impossible to explain this act of cultural and historical self destruction’. 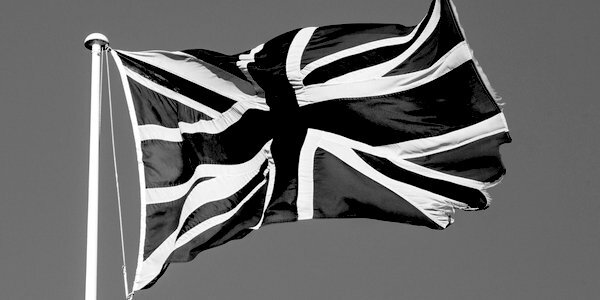 The battle raging over Britain’s future has meaning beyond my not-so-little England. All over the West, Phillips writes, battle is ‘engaged to save national and cultural identity’. And Brexit is a major front in this war. My fear is Melanie’s fear, that even if it is halted, the defence of Western civilisation will be badly, if not irreparably, damaged. That is why I will be in Parliament Square today. To acknowledge my country and its history, to protest against the banality of evil that is our current Parliament has become, and say sorry – for my feckless and spoilt generation.